Manage flatulence odor with Devrom (bismuth subgallate) Flatulence! Everyone has it, some people are too embarrassed to talk about it while others are too comfortable talking about it! Joked about as a silly bodily function, but for some people it can be socially debilitating. Perhaps the most embarrassing thing is the odor. Devrom is an FDA approved over-the-counter medicine that safely and effectively deodorizes stinky gas.Flatulence affects everyone but, the odor can be managed with Devrom. Whether you're hopping from party to party this holiday season, taking a flight to the tropics, or just taking it easy at home. 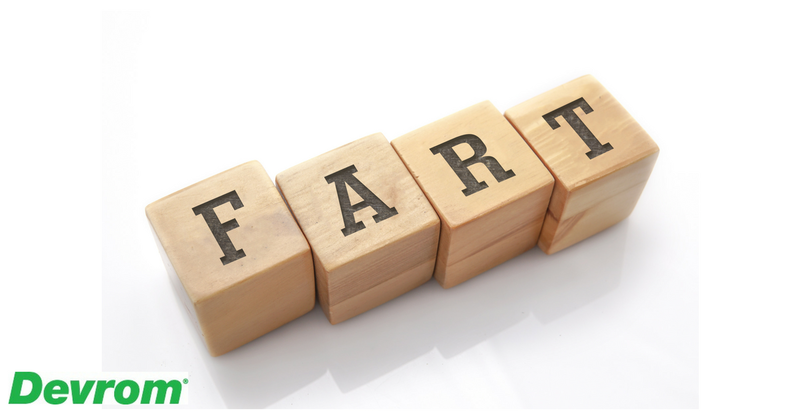 Here are some ten tips to help you keep flatulence under control. Watch your intake of veggies often linked to gas production. Find quick relief of gas production with gas pills like Gas-X (simethicone) and Beano (alpha-galactosidase enzyme) that reduce the amount of gas. Don't bother with antacids to manage flatulence. Try pepermint tea to soothe an upset stomach. Flatulence odor is easily managed with Devrom (internal deodorant) available as a chewable tablet or capsule.